Demand response, energy management and strategic resource planning: these are all manifestations of the same reality, EnerNoc would like you to know. The company has woven together its different offerings into a suite of tools called EfficiencySMART that, ideally, will allow it to provide more comprehensive services to its customer base. It will also give EnerNoc the ability to cross-sell, i.e., persuade demand response customers, let's say, to become a customer for building management or carbon accounting services and vice versa. For startups and others moving into the growing market for energy efficiency and building management, this might have been expected news, but it's still not good. 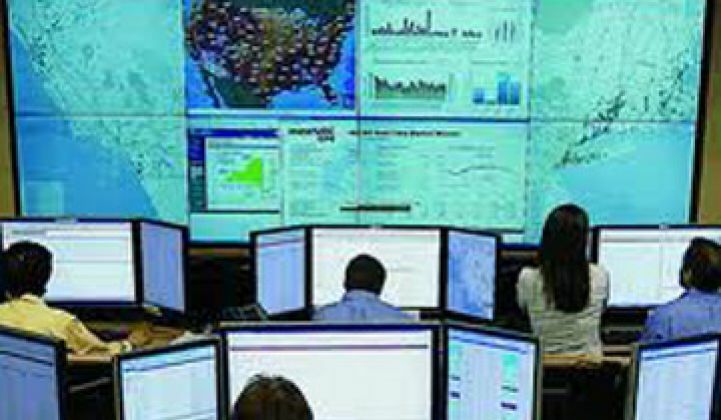 EnerNoc manages 5.1 gigawatts at 8,500 locations in North America. It has access to data about energy consumption and performance at these locations and enjoys strong relationships with many state agencies and utilities. It also sends checks to companies for allowing EnerNoc to harvest 'negawatts' on behalf of their regional utilities. In other words, the company, in many accounts, will come in with a positive track record. "We have 8,500 sites under management. We pay our customers every month. We can dramatically reduce the sales cycle because of that," said Gregg Dixon, senior vice president of marketing. "There is a lot of overlap between demand response and energy efficiency clients." ENXSuite, Silver Spring Networks, Comverge, Constellation Energy, Tendril and eMeter are taking a similarly holistic approach to their product portfolios, making this one of the big trends of the year. In October, Silver Spring, which makes smart grid communication equipment, moved into demand response and residential power management, while Tendril bought a company to add a billing/behavioral element to its offerings. EnerNoc, Gregg emphatically added, has also already made the leap in building management from just analyzing data to developing tools that can control things like air conditioners or heaters. Many building management tools actually just pinpoint problems and make recommendations. Others, such as the tools Serious Materials acquired when it bought Valence Energy, provide analytics and some element of control and automation. "We are hands-down the largest provider of what you would call persistent or monitoring-based commissioning," Dixon said. "We've got 100 massive customers. We've got the California State University System. [...] We've got Boeing. "Our competitors do not have a baseline they can use to measure energy efficiency," he added. The company's diversity play has been paved through a series of acquisitions over the past few years. In all, EnerNoc has bought eight companies, including Cogent Energy (building management) and eQuilibrium Solutions (carbon accounting.) EnerNoc has yet to buy a lighting management company. We expect some of them to be bought soon. Dixon acknowledged that demand response, potentially, could be cannibalized by building management services. An efficient building, after all, will have less fallow electricity it can shed during peak periods for demand response services. In most cases, however, buildings will be able to accommodate both. Energy management is also a far larger market, he said. "Demand response is training wheels for energy management," he said. EnerNoc is also on schedule to deliver an annual profit for 2010, something it has not accomplished since going public in 2007.